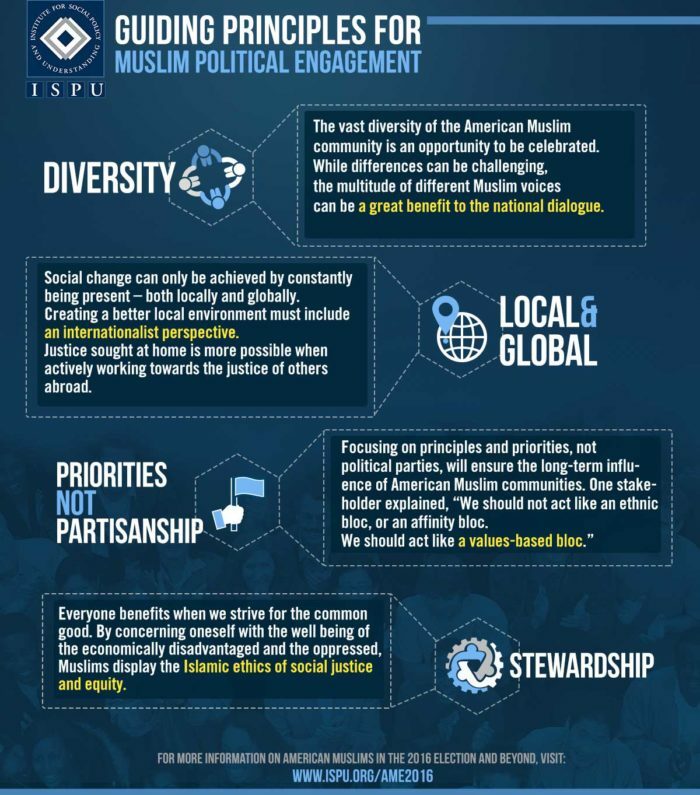 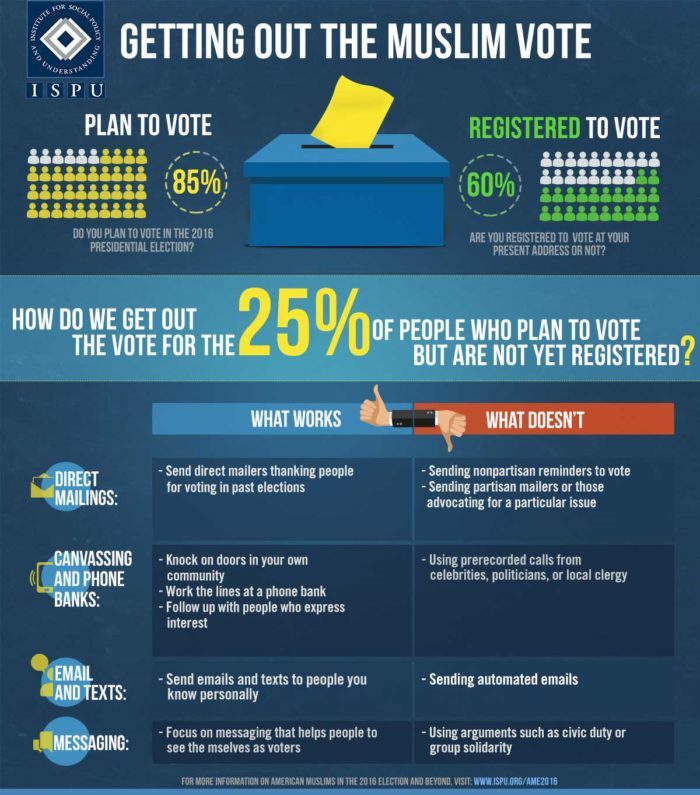 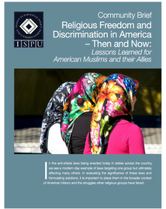 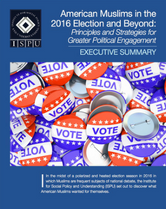 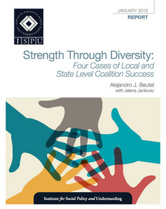 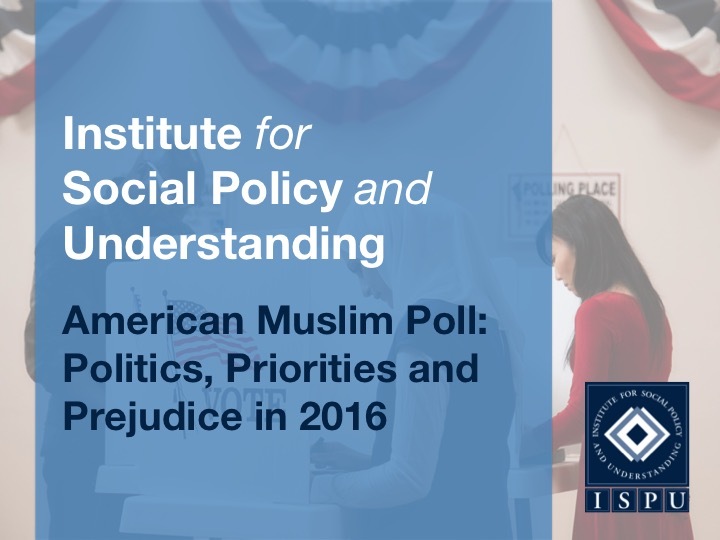 Whether it’s time for a general, midterm, local, or special election, ISPU’s elections-related research on issues related to American Muslims can be utilized. 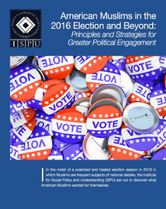 Use this online community toolkit to empower, inform, and improve participation in our country’s political process. 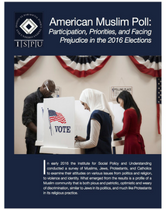 Our American Muslims and Elections project provides data driven recommendations on how each of us can be engaged in the political process, locally and nationally. 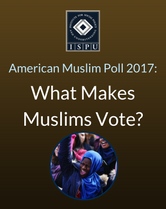 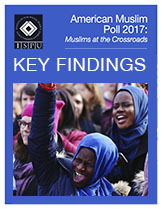 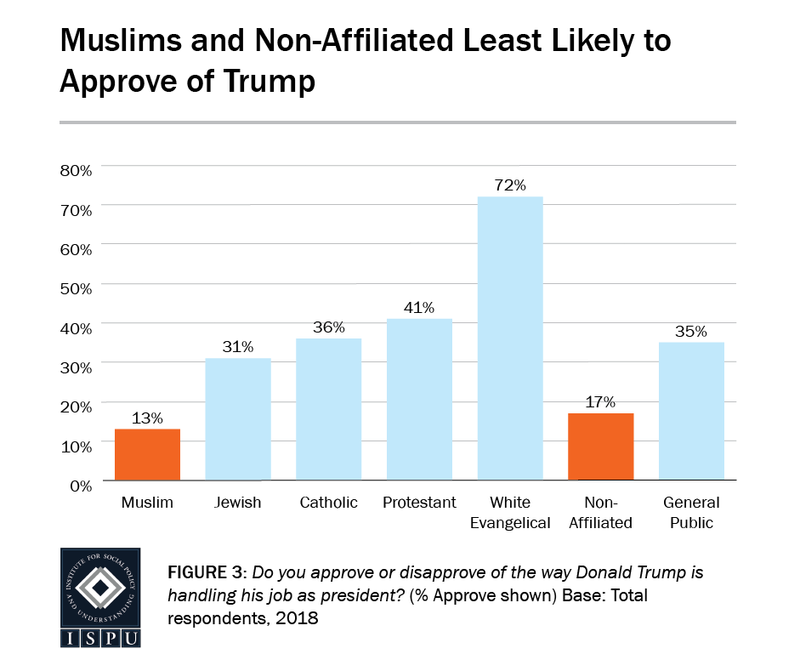 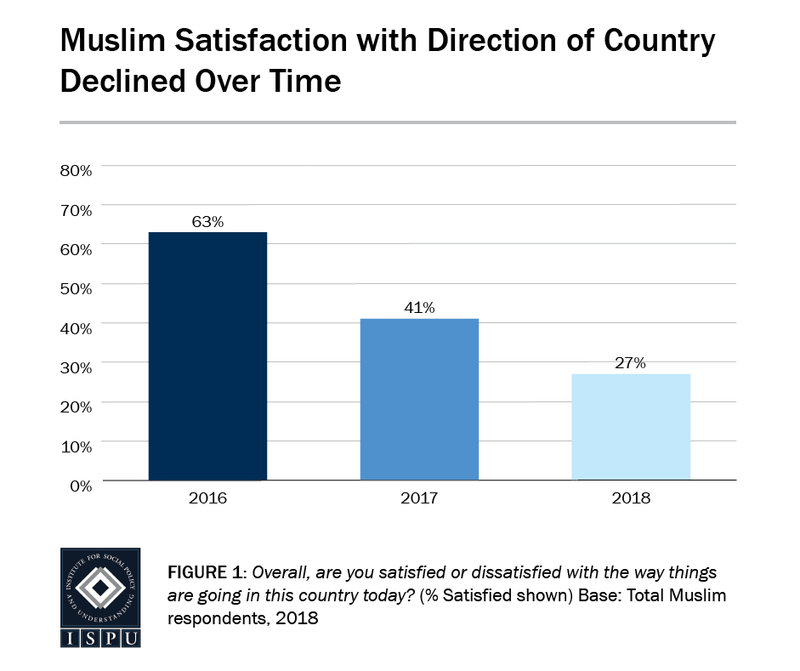 Our findings from the American Muslim Poll provide empirical evidence on the opinions and policy priorities that can be used to respond to stereotypes of our community. 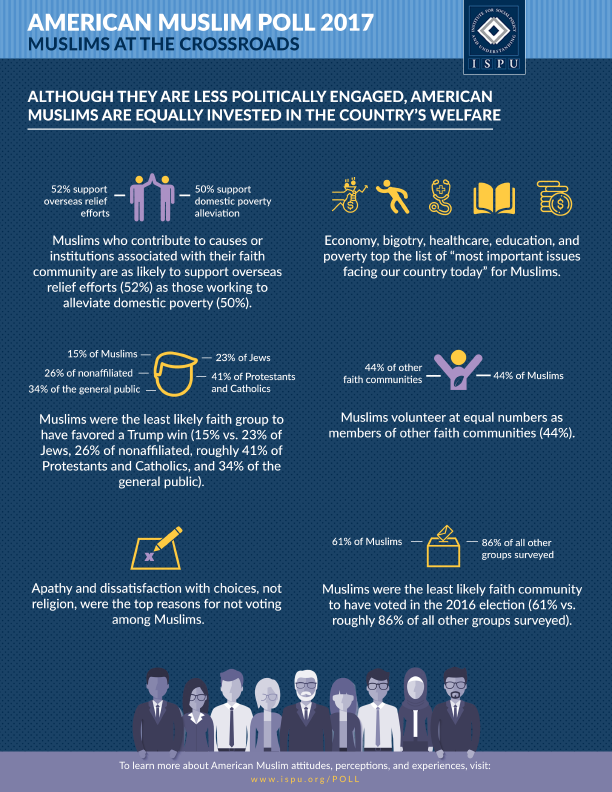 Our research from our Islamophobia project deconstructs the Islamophobia industry in order to understand how it’s used as a legislative tactic. 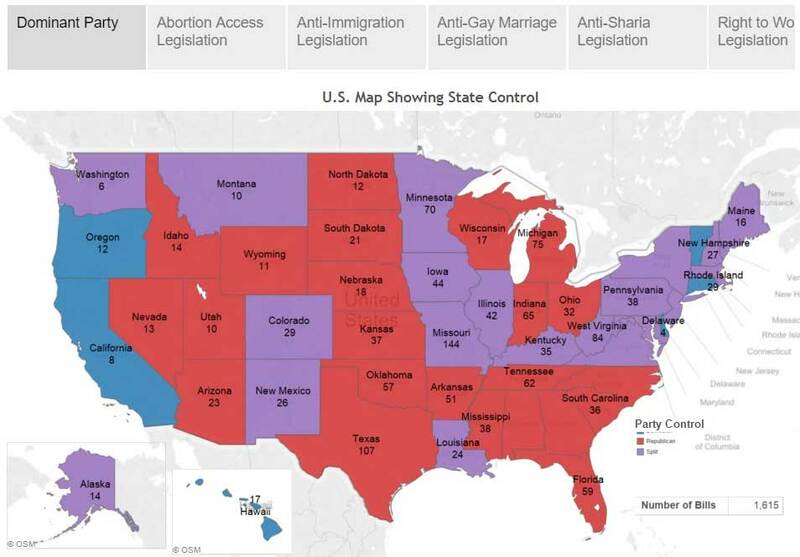 Our updated Legislative Map provides state level information on all laws that have been proposed under six issue areas from 2011 to 2015. 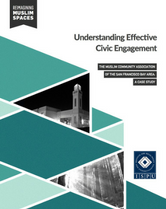 From videos to presentations to full reports, our research has been repackaged to ensure accessibility for everyone in the community. 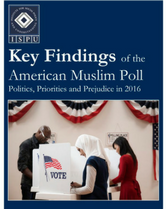 Click here to download all 14 graphs from 2016. 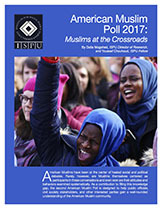 Click here to download all 42 graphs from 2017. 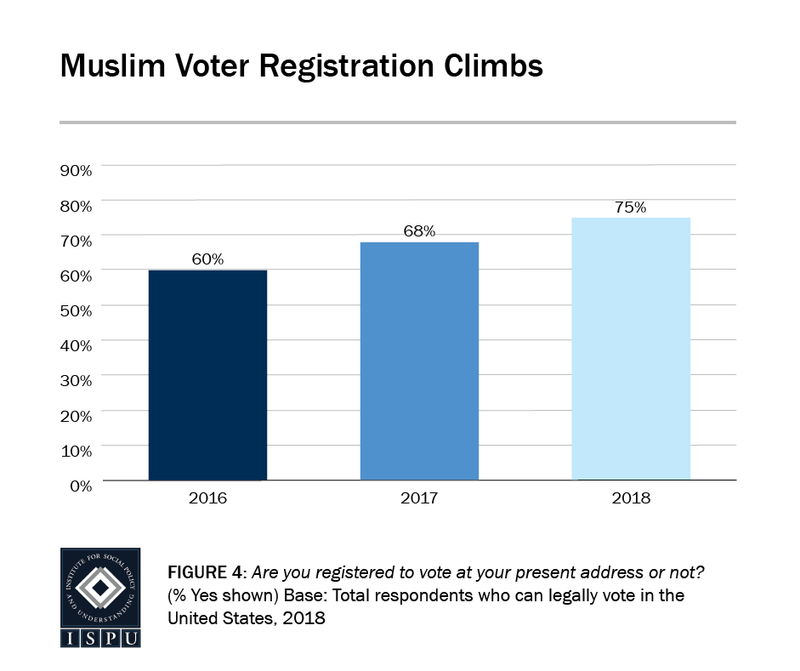 Click here to download all 34 graphs from 2018. 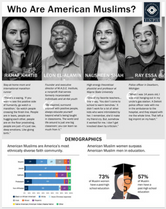 Click the graphic to view the data visualization interactive map.